An intriguing history and one not to be missed. The book visits a number of lighthouses at different times over the last 130 years to reveal the philanthropic, scientific and romantic story of the fog signal - how it came about, how the machinery worked and, for the mariner and the keeper, what it sounded like! The development of fog signals complemented the expansion of lighthouse construction worldwide from the last quarter of the 19th century and represented the attempt to provide a navigation aid to mariners when the beam of light from the lighthouse lens was obscured by fog. This aim, despite the best efforts of the available technology, was frustrated by the medium of air with its effect on sound propagation, but the attempt to overcome the difficulties encouraged many eminent Victorian scientists and engineers to help shape the story of fog signals - the development of powerful machinery specifically designed to send loud noises out to sea! This story of fog signals is drawn from visits and site surveys at specific lighthouses with wide research of original documents held by the lighthouse authorities, private companies, museums and archives. 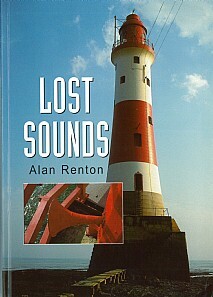 Lost Sounds reveals the practical developments of sound signals from the early percussion instruments to the later succession of compressed air sirens and diaphones through to the last remaining electric emitters.